I don’t know where to begin, except to say that I absolutely loved this book. It is a quick, captivating read. Whether or not you can relate to the situations in the book, you will still not be able to stop turning pages. 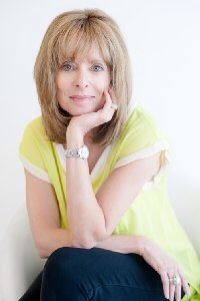 You will love Prissy Elrod’s style of writing. Southerner Prissy Elrod, the author, is the steel magnolia in this story when she does what she has to do to save her husband, her family and herself. It has a fairy tail beginning and a fairy tail ending. It is what is in between though that tugs at your heart strings. What many don’t know is that a magnolia blossom is very fragile, and the least little bump leaves a bruise that shows up almost the moment it happens. Prissy Elrod is a steel magnolia. She bruises, but she maintains her outward metal, and she survives. This book is her proof. There is nothing ordinary about dealing with a loved one and their cancer diagnosis, but what Prissy Elrod did was ordinary. She did the best she could. What happens to her, though, is far outside the ordinary. There is a twist in the story that is never expected. All of us who have been in her shoes found ourselves living each day one at a time and making decisions for which we were never prepared, all the while on a cacophony of emotions sweeping us along whether we were ready or not. She captures this in her memoir. Expect a roller coaster of tears, desperation, persistence, laughter, zaniness, hope, heartache, heartbreak, humor, pain, anger, anguish, sorrow, hope lost, fear, compassion, frustration, and renewal. Sometimes, you will feel the bewildering and competing emotions all at once, like when I found myself laughing through my tears. Elrod hurled me down into the darkness of despair when she reminded me of my own experiences in this realm, when the unintended consequences make us realize that the decisions were never easy. She tells her story so well. Mostly, I was amazed by her candor and humility. Years ago my elderly great aunt who was a prolific reader told me that she was disappointed in the new books. She said that it was as if each younger author was simply trying to out-shock the last. My aunt felt that contemporary literature was lacking in honesty, and that the stories seemed to be written for their ability to provoke massive fear, anxiety or disgust. 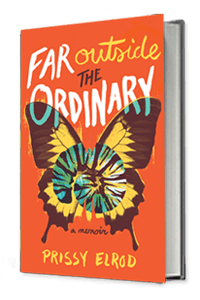 I wish she had lived long enough to read, “Far Outside the Ordinary,”. She would have loved this moving, honest account of a family’s tragedy and perseverance through adversity. The book has small-town living, fashion, international travel, intrigue, shamans, shady medical clinics, a capitol city’s political high-society, tragedy, miracle treatments, love stories, and the uplifting love of family and friends. Elrod carried me for a ride through her life. Though a memoir, it reads like southern fiction at its best. It reminded me of a cross between “Steel Magnolias” and “The Help”. I hope she will continue writing, because she has a voice I would like to hear again. I also believe this would make a great movie. The characters are rich. She did a great job of describing their uniqueness. I believe the characters will get her a movie deal in the end. They are zany, comical, quirky, and just what we have come to expect in southern movies. So do yourself a favor and read this wonderful book before it becomes a movie! Will do, Ethan. Thank you for your comment, too. Thank you so much for your kind words, Ann. I’m so glad you liked it and thrilled you shared your review. I appreciate it from the bottom of my heart! You’re welcome. I hope you keep writing!